Not many engineers get to own the concept cars they helped to develop. But that's exactly what Chris Theodore, the product legend who led engineering teams for such cars as the Dodge Viper, Plymouth Prowler and 2004 Ford GT, did recently when he won an auction for the 2004 Ford Shelby Cobra concept. Theodore bought the V-10 powered roadster this month in a charity auction. The proceeds went to one of his favorite causes: the restoration of Fair Lane, the former estate of Henry and Clara Ford. 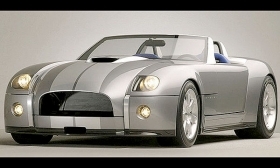 The 2004 Shelby Cobra concept was a modern interpretation of the classic 1960s Ford-powered AC Cobras and is historic in many ways. It brought Carroll Shelby back into Ford's orbit after years of acrimony. It was briefly considered for production to succeed the Ford GT. Unlike many other concepts, the Cobra was fully engineered and built to drive. Only one car was built and it used many of the underpinnings of the Ford GT. "It's a dream come true," said Theodore, 67. "It's one of the last cars I worked on at Ford." 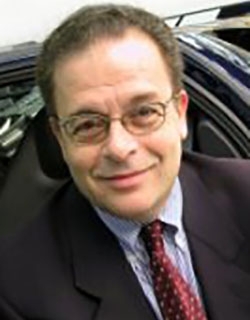 Theodore, who today runs a design and engineering consulting firm in the Detroit area, plans to make the Cobra roadworthy, though it can't be registered. He says he will display it along with a classic Cobra he is building. Theodore, Shelby, retired Ford design chief J Mays and a team of engineers here and in Europe engineered and built the car in-house at Ford and had it ready for the 2004 North American International Auto Show in Detroit. Sister publication AutoWeek named the Shelby Cobra concept best in show that year. Ford, which occasionally sells some of its concept and show cars, has displayed the Cobra concept over the years. "It's in beautiful condition and it has been very well taken care of," said Theodore.